Located off Highway 76 near the Silver Dollar City amusement park, the luxurious StoneBridge Resort offers upscale studios, suites, condos, villas and lodges for any traveler type to enjoy. Guests can visit the 3,200-acre property to find three swimming pools, three tennis courts, children’s playgrounds, several walking trails, both a basketball and a volleyball court, a restaurant, and more. Fine and casual dining on property. All units have fully equipped kitchens, fireplaces and patios/balconies. 1.3 miles from Silver Dollar City. 9.4 miles from Table Rock Lake. Guests must be at least 21 years old to check-in . 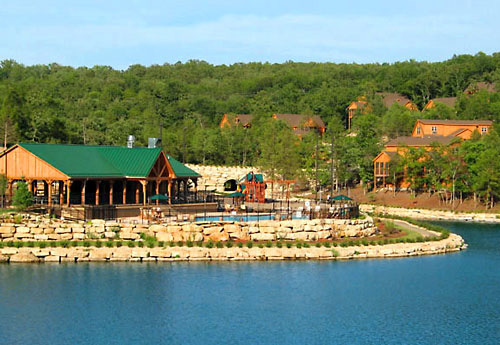 Only 1 1/2 miles from Silver Dollar City, StoneBridge Resort is located in a 3,200 acre gated community within the Ozark foothills. A breathtaking, scenic location that is home to Ledgestone Championship Golf Course. Guests can choose from 1,2 and 4 bedroom lodges, studios, and suites. Lodges offer a fully equipped kitchen, fireplace, washer and dryer, screened-in porch and cozy living rooms with high-speed internet access. Each bedroom is a luxurious master suite, featuring a king-size bed, television and private bathroom with an oversized whirlpool tub. StoneBridge Resort offers numerous amenities to our guests including golf, driving range, fine and casual dining, meeting rooms, business center, concierge services, swimming pool(s), lighted tennis court(s), volleyball court, basketball court, fitness facility, nature and hiking trails, playgrounds(s), catch and release lake with lake-side, upscale pavilion. Conveniently located to golf, lakes, hunting and state parks in the area and only a few minutes from Branson shows and attractions, StoneBridge resort has everything you need for your next vacation, reunion or corporate retreat. Pet fees are $50 plus tax per pet, charged upon check-in. Must be 25 lbs or less and max of 2 pets. Must confirm availability of the pet-friendly unit. How many units/condos/cabins/rooms are available at StoneBridge Resort? There are 10 standard units (or rooms), a total of 40 condos and 10 cabins. Adjoining rooms are not available but guests can reserve condominium units that are side-by-side. 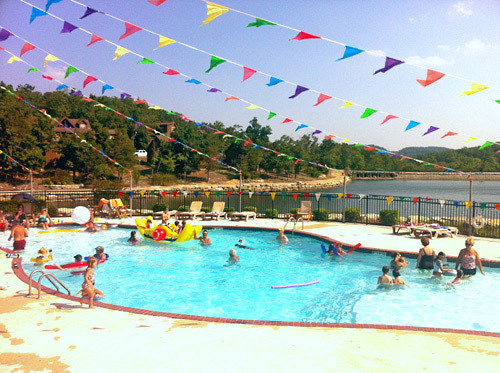 How many pools are available at StoneBridge Resort? There are 3 pools available to guests. The pool is open Memorial Day through Labor Day, with hours of 9am – 9pm. Steve’s Tree House and Ledgestone Grill is located on property. There is a lounge available to guests as well. Guests must be at least 21 years old to check-in at StoneBridge Resort. No rollaways available although most units have queen sleeper sofas. All units have microwaves and refrigerators. Condos and Lodges are full kitchens. There is no charge for Pack N Plays. There is FREE self parking available to all guests. Is late check-in available at StoneBridge Resort? Reservations are guaranteed, so yes. If it is after operating hours, their arrival packet is with security at the guard gate. What if I have more people than the unit allows? This property has a maximum occupancy per unit. You cannot exceed that maximum but can upgrade to a larger unit.